If you wanted to learn how to swim, surf, ski, play tennis or golf, you would have coaching sessions in order to develop the correct techniques and skills to help you to achieve success. The same is true of running – lessons are required to learn, perfect and master the technique that will enable you to become a more skilled runner in a shorter period of time, with less likelihood of injuries and without the frustration of the trial and error method. This will be followed up with skills and technique training sessions both in and out of the gym, as well as running sessions driven by current or future running goals, focused on posture, rhythm and relaxation. £65 for an initial appointment (minimum of 2 hours) covering efficient running, injury analysis, training techniques, kit recommendations, footwear options, motion capture and discussion of style and proprioception and bio-mechanics. I have always used track based training as an integral part of my personal training plans and have used it with most of my clients over the years. Training at a track provides a secure, safe and professional environment where specific training techniques can be tested and executed. Track work could include focusing on running technique, short distance drills (100 metre sprints), timed miles and long distance training. 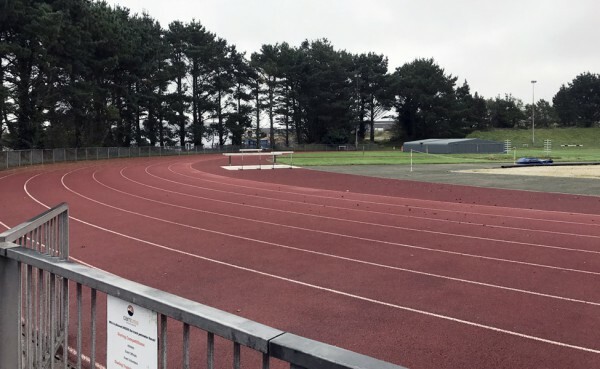 I work with Carn Brea running track to ensure you train at the best venue in Cornwall. For more information, contact Cliff King on 07977 486919 or cliff@cliffking.co.uk. Over the last five years, I have seen a high increase in demand for my advice, help and support with runners of all abilities via email, skype and phone relationships. Whilst I still train many, many clients face-to-face, these clients also still enjoy and benefit from the option of communicating via email, skype or phone. Whether it is a 10K, half marathon or ultra marathon, you can work with me to build a bespoke training plan tailored to specific needs and with your life and commitments in mind. This helps to maintain a constant relationship building focus and discipline. I offer a 24/7 service. Every training plan is unique to you including locations, times, nutrition, training plans, kit and much, much more. I am highly experienced and successful in supporting clients to achieve goals and indeed, I consistently have clients who achieve far beyond what they initially set out to. An initial face-to-face running assessment – for more information click here. Unlimited communication for any questions or queries you may have and for encouragement and motivation. Planning race training and routes in your local area. Reviewing your progress towards your goals. Detailed advice on appropriate kit and nutrition – this comes from my many years of racing and training hundreds of clients. Having worked and trained within the sports industry all of my life, I understand the impact lots of training and physical exertion can have on your body. To keep your muscles supple and injury-free, regular deep tissue massage is an integral part of the process.